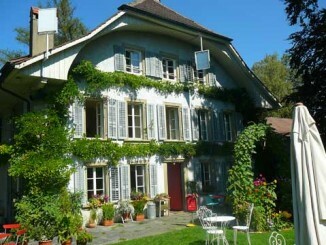 Located next to Murten / Morat on the border between the French and German areas of Canton Fribourg, the Hotel Restaurant La Maison Salvagny in Salvenach is a gastronomic Michelin restaurant that also provides some hotel rooms. 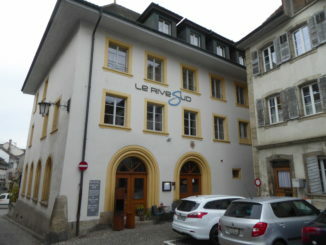 The Hotel Rive-Sud of Estavayer-le-Lac is a 3 star hotel and gastronomic restaurant located in the center of this medieval town of Canton Fribourg situated on the south shore (“rive sud” in French) of the Lake Neuchatel. This hotel is conveniently located just five minutes away from both the Estavayer-le-Lac highway exit and train station. Located in the countryside just outside Fribourg, the Hotel La Croix-Blanche in Posieux is a 3 star hotel that offers 3 rooms and 4 suites and apartments in a quiet surrounding. This hotel is conveniently located less than five minutes away from the Matran exit of the highway and ten minutes from the center of Fribourg. The Hotel Central is a 3 star hotel located in the center of Dudingen / Guin, a small town in the German-speaking area of Canton Fribourg. This hotel is conveniently located just two minutes away from both the Dudingen / Guin highway exit and train station. The Hotel Restaurant Etoile in Charmey is a three-star hotel located in the center of Charmey, a small mountain village located 10 minutes away from Gruyeres and Bulle and a 30 minutes drive from Fribourg. This is an ideal place in the winter for skiing in a family-oriented ski resort or for hiking and mountain biking from spring to autumn. 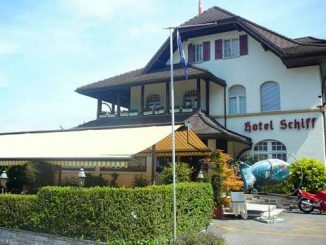 The Hotel Schiff in Murten / Morat is a three-star hotel located just on the shores of the Lake Murten / Morat, at the bottom of the historical part of the city. 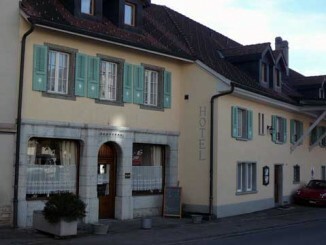 The hotel is just a two minutes drive from the Murten highway exit and a 10 minutes walk from the Murten train station. 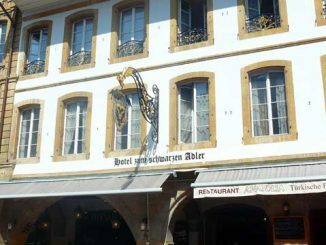 The Hotel Adler in Murten / Morat is a three-star historical hotel that offers 13 renovated rooms centrally located in the old town area of Murten. The hotel is a five minutes walk from the train station. You will need the same time to reach it from the Murten exit of the highway. Located in a quiet countryside just a five minute drive from the center of Fribourg and the Fribourg Nord exit of the highway, the Hotel Auberge Aux 4 Vents in Granges-Paccot is a three-star hotel that offers 8 rooms, each decorated in its own style. 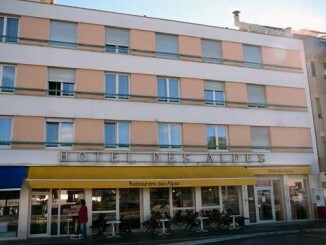 Located in the center of Bulle near the train station, the Hotel des Alpes is a three star hotel that offers 33 single, double and triple rooms. 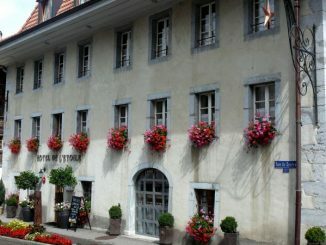 The Broc’aulit hotel is a three-star hotel located in the center of the small city of Broc near Gruyere and Bulle. Its name is a joke linking the broccoli vegetable and the French words meaning “Broc in bed”.